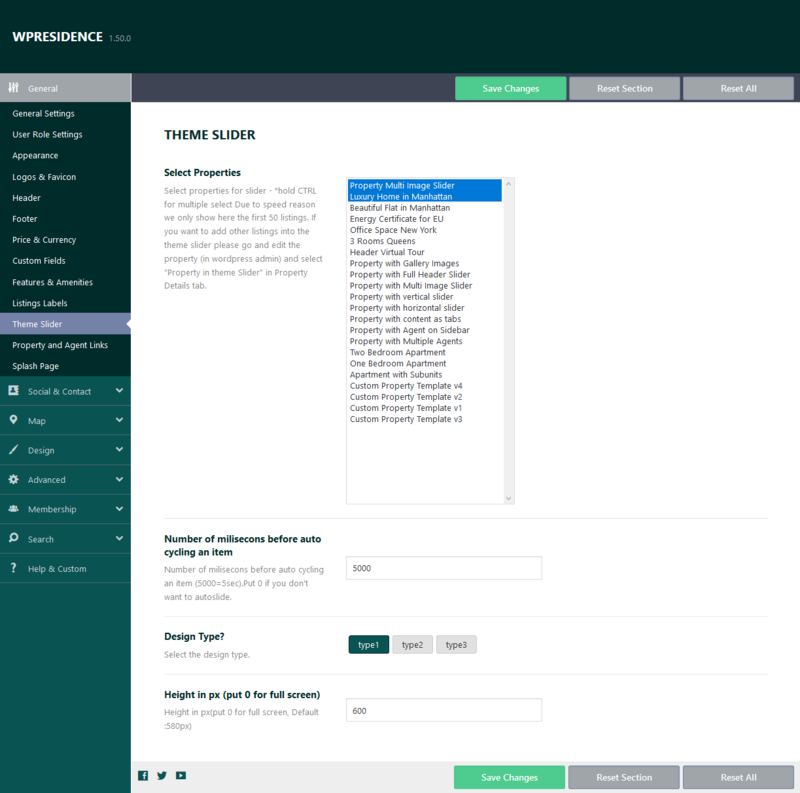 The global header settings are controlled in Theme Options – General – Header. This option applies to ALL pages, taxonomies, posts and so on. 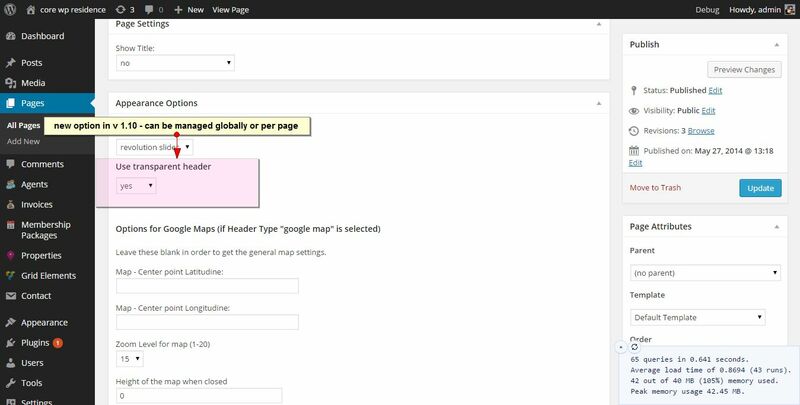 Media Header Type can be set globally (for all pages) from this section and admin can select between: Google Maps, Revolution Slider, Theme Slider Static Image or None. Transparent Header will look good if you will choose light colors for menu font. Hence you will need a dark background for menu too. You can set to Transparent Header from Header – and then you will have a global header or from the Property page for a single page. 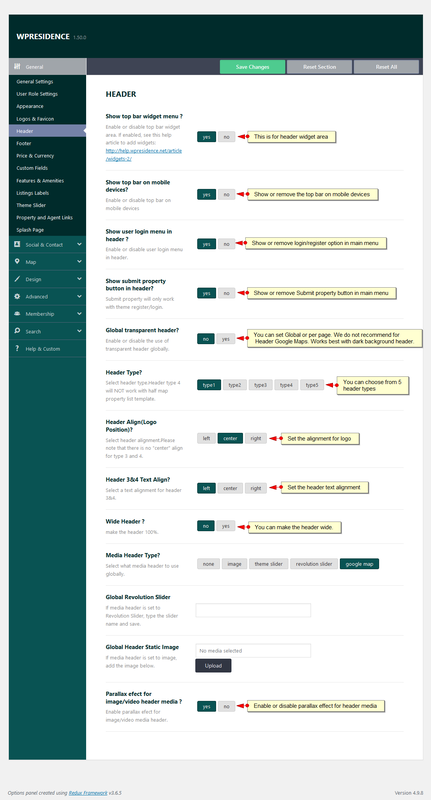 You can override the global settings from edit page – edit post – edit agent or edit agent.